Here you'll find an archive of my live public appearances, from debates to speeches to hosting events. 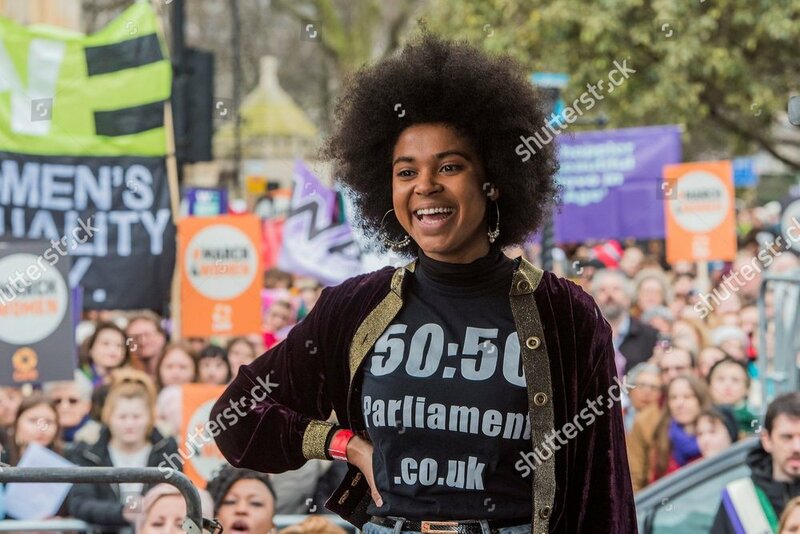 I spoke for 5050 Parliament about the need for better gender representation in UK government on the March4Women 2018, organised by Care International. In 2017, in partnership with speaker events company 5x15 I hosted the main stage at PULSE, London's premier independent design fair, at Olympia. I liaised with speakers including business owners, trend forecasters, designers and influencers like Youtuber Stef Michalak, as well as panel chairs such as the Evening Standard's Katie Law, introduced each session to the stage and facilitated Q&As. I spoke at the Women's March London on behalf of 50:50 Parliament, to the 80,000 people strong rally in Trafalgar Square. View the speech here. April 2017 saw me sit down at London's DIY Space with student activist Barbara Ntumy; and activist and community organiser Imani Robinson, discussing a screening of ‘Generation Revolution’, an independent film that has been making waves across the UK, USA, and beyond. After the screening there was a Q&A session - the event was programmed by No Fly on The Wall. The panel at Women of the World Festival was based around our book I Call Myself A Feminist, published by Virago Press in 2015, and was made up of myself, Martha Mosse, Amy Anette, the incredible June Eric-Udorie and Caroline Kent. We covered issues from taking up space to idealism via performance art and womanism. We read extracts from our essays; my own, called 'Women Should Get to be Rubbish Too' is about the risks of raising women to feisty ideals, and interrogates the Strong Female Character trope in fiction and in life. The event was held at Royal Festival Hall and was sold out. It was also filmed for a BBC documentary on Virago Press. 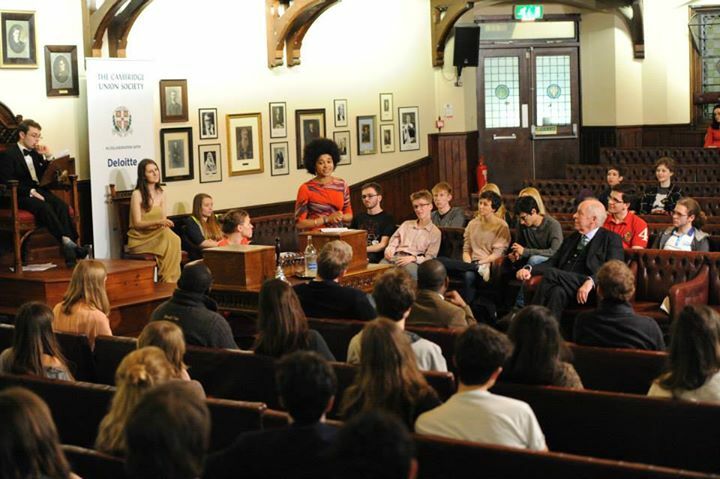 I was panel Chair for 'How To Change the World' event, and judge of 'Filmmaker of the Future' Award. In 2015, the I Call Myself a Feminist team were invited to Bristol Festival of Ideas to talk about the issues in the book. Hear the session here. Cambridge PEN, a student branch of English PEN we founded in 2014, campaigns for human rights for writers, journalists, bloggers – anyone who has something to say and is persecuted for it. When I was on the committee we ran events to raise awareness of the situation of oppressed writers, hold readings, and sent petitions and letters of support to show solidarity with those who are denied free expression. We believe this is hugely important to students, who not only live by learning from and freely challenging the ideas of others, but want to act to help those whose opinions are being silenced. We actively encouraged the exchange of ideas by hosting debates and thought-provoking talks - events I contributed to included discussion on how governments control journalists, with BBC World Service journalist Owen Bennett-Jones, and an intimate and powerful evening of conversation with the exiled Uzbek writer Hamid Ismailov. Cambridge PEN is all about removing the barriers to literature, and this includes supporting literature in translation. We believe that readers and writers should not be held back from communicating urgent ideas or stories by linguistic obstacles any more than by political ones. 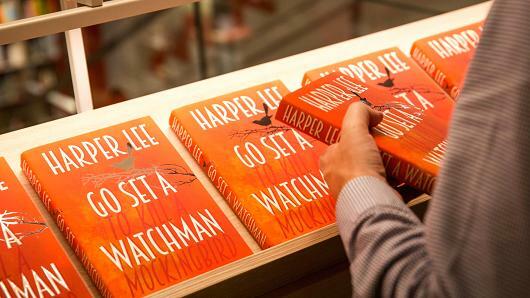 So much of the best and most important literature in the world – from throughout history and being published right now – comes, not surprisingly, from around the world. I'm proud that the committees that came after ours have done a wonderful job continuing that work.